The new Apple TV looks almost indistinguishable from the previous model, but couldn't be more different under the hood. Here's what you need to know about it. Apple began selling its Apple TV model on Monday, and while it incorporates all the features of its predecessor, it has a pile of new features and new offerings. You have questions? We have answers. If there’s anything else you’d like to know that we didn’t cover, sound off in the comments below. How much does the new Apple TV cost, and when can I get one? Apple is selling the 32GB base model for $149—more than twice the price of the older generation, still available for $69. A 64GB version of the new Apple TV is $199. Apple began taking preorders on Monday, quoting October 30 as the earliest arrival dates. How do I choose the 32GB or the 64GB? Users can’t manage the storage on their Apple TV—that’s all done behind the scenes by the new operating system, tvOS. (More about storage handling later.) Think of the 64GB as having an extra-large cache. If you play games, or if your Internet service can be a little spotty for streaming video, you’ll appreciate having more storage to cache content for smooth performance. What is tvOS? 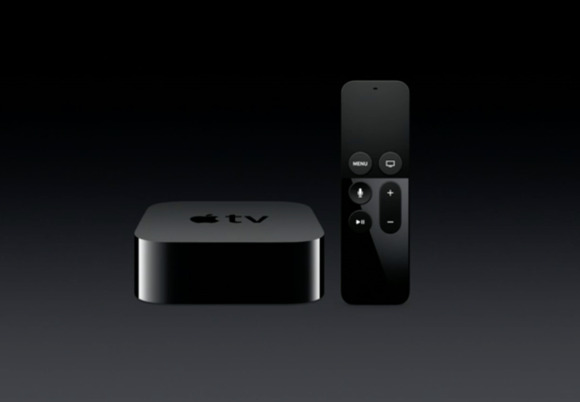 It’s a new operating system based on iOS and designed for the new Apple TV. It allows third-party developers to create apps using the same software frameworks used for iOS, OS X, and watchOS. It won’t run on previous models. 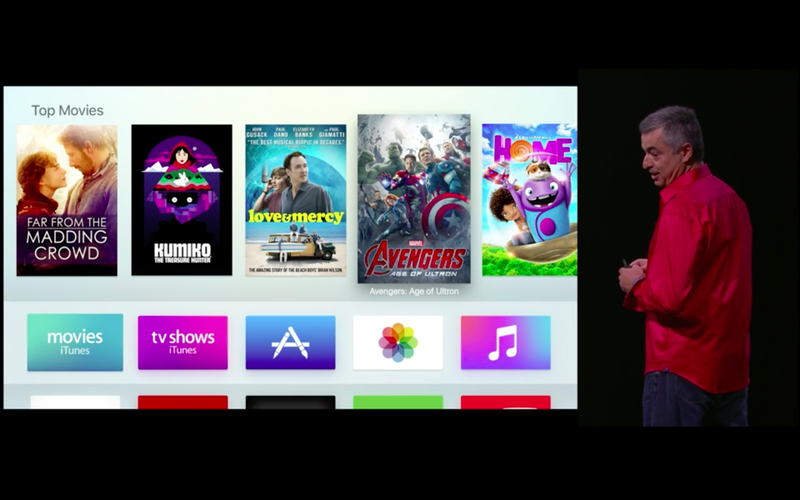 The Apple TV’s new operating system is called tvOS, and it allows third-party apps and other content. Can my previous Apple TV model be updated to take advantage of new features? No, seriously, it can’t. Everything in the new Apple TV, from tvOS to the App Store to the new Siri Remote, is only available on the new model, partly because of the much faster A8 processor built in that’s required for games and other computation-dependent services, and partly because Apple would like people to buy new hardware, of course. There will be a compatibility update for some recent models. How do I get third-party apps? A tvOS App Store will let you download apps: free, freemium (basic access and download for free, with more features or access at a fixed or subscription fee), subscription, and one-time paid apps, which can have in-app purchases. Apple announced open access to all developers at the Apple TV launch event, but gave advance access to some partners. There will clearly be a good set of apps at launch in October, but it’s likely to take months before we see a wide variety. 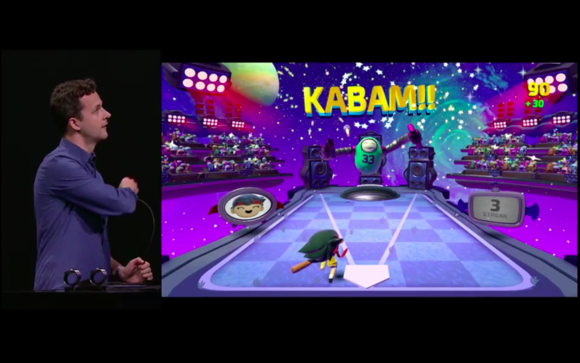 Apple TV will likely have a good number of game titles at launch—and some may even take advantage of the Siri Remote’s gyroscope. What kind of apps will be available? Apps should be as diverse as what’s available in iOS. Obviously, video-streaming services are front and center, and Apple has commitments from big names in television program creation and movie licensing, like ABC, Disney, HBO, Hulu, and Showtime, as they’re promoting them at launch. On the sports side, Apple says you’ll be able to buy full-season subscriptions to the NBA, NHL, and MLB. There’s a full list posted of what they’re announcing so far. Games are the big push with this new release, with a fast processor, and a remote that doubles as a touch-based and motion-based controller. iOS games can’t simply be converted to tvOS, because the interaction will be so different. Photo-display or slideshow-presentation, podcast, and music-streaming audio service apps should also be popular. Will Apple allow an Amazon app, like Amazon Instant Video? It’s a fair question. Amazon has an iOS app for video, another for music, and multiple apps for shopping. With previous Apple TV models, providers had to work directly with Apple in an unusual development environment. In this new approach, everything Apple is saying makes it sound like it will be bound by rules very similar, if not identical, to the App Store. That would make it odd and exclusionary for Apple to prevent Amazon from making a tvOS app. Can I pick what’s stored on my Apple TV? No. Apple doesn’t want you to have to manage storage, the same philosophy it’s been adopting over time in iOS, and that came to full fruition with iCloud Photo Library and optimized images. When storage is needed for another purpose, tvOS will dump cached information that it deems not currently in use. Apple wants everything connected to its own apps to be available on demand over the local network (with Home Sharing) or via iCloud for purchased content. When you view a movie or listen to a song, as with the current streaming-only Apple TVs, Apple spools the file over the Internet and builds a buffer so you can start before it’s fully downloaded. With the new Apple TV, it might download the rest of a film as you start watching it and cache it if storage is available. But so far, there’s no mention of being able to mark media to retain on the Apple TV. For films or TV shows you plan to watch repeatedly, you will probably need to download them to a computer running iTunes, and then view via Home Sharing. To watch a film without delay, you’ll need to either download it to iTunes or queue it up on the Apple TV far enough in advance of watching that it’s retained. For third-party apps, Apple makes it clear in its tvOS development guide that there’s no way to create persistent resources, whether settings files, modules, or media. Developers have to work around the notion that anything they need beyond the basics may have to be downloaded. How will gaming and other apps work if limited to 200MB? This seems way too small! The 200MB limit is fortunately only for programming code, not for the total assets required for an app. Apple is telling developers that because there’s no persistent storage, everything associated with an app has to be stored in the cloud—this includes items as small as app settings that might take up a few bytes. Apple has a resource guide up already to help developers plan how to break up the images, video, rendering components, and other items into fine-grained tag items. This will let an app include critical elements, and load everything else in bits and pieces on demand instead of in giant lumps that most home broadband users will have to wait for. It’ll be a challenge, but seemingly a good one. Can I use third-party controllers? Yes! The new Apple TV supports any controllers that are already in the MFi program that Apple uses to certify devices—that’s Made For iWhatever. This includes a number of console-style controllers that work over Bluetooth. Game developers have to build in support for these controllers in their games, too. Apple TV will probably spawn new devices, and game makers could design premium or specialized controllers to go with their games as well. How many remote-control/game controllers does it support? Up to four. But that includes just one Siri Remote. If you want to play local multiplayer, you’ll need at least one extra controller that isn’t a Siri Remote. I know I’m going to lose the Siri Remote. Is there any help to locate a lost one? So far, no. The Apple TV has no buttons, not even to reset it. Perhaps you’ll be able to yell, “Hey, Siri Remote!” and it starts saying, “hotter” and “colder” as you get closer? How much are additional Siri Remote controls? Additional Siri Remotes are $79, plus $13 for the optional Remote Loop, a little strap you can wear while using it as a controller so you don’t fling it out of your hand and break a TV, window, or someone’s head. The strap plugs into the Lightning port. 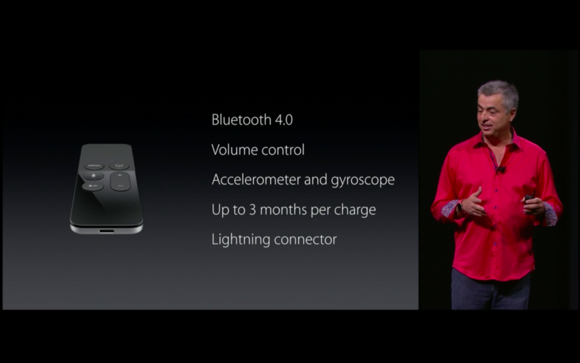 The Siri Remote is Bluetooth enabled. Can the Apple Watch be used as a controller or for other purposes? Apple didn’t mention the Watch at the launch event, but because it can work with the existing Apple TV with the Remote app, it’s very likely the Watch will be able to be part of gaming and controlling the new model. Is it a Wi-Fi base station? No, you’ll still need either an ethernet switch or a Wi-Fi base station to connect it to the local network and the Internet. It does include the newest 802.11ac flavor of Wi-Fi networking. Will Siri’s search work across all apps and even other places on the Internet? At launch, Apple says it will work across “popular services,” including iTunes, Netflix, Hulu, Showtime, and HBO. More services should be added over time—it’s possible, like with Spotlight in iOS 9, it will be able to draw information from other apps installed or even ones that aren’t. Audio-only output is missing! How do I stream or play back sound? This is a pain for folks used to using an Apple TV as an AirPlay destination from audio or using Apple TV apps to play back podcasts and stream music. You can shunt an existing Apple TV for this purpose, of course, or get an AirPort Express ($99), which still includes an optical-digital audio output port and is an AirPlay destination. Otherwise, you’ll have to route audio through an HDMI device. Some receivers can accept HDMI, and when you want to play back audio that has no associated video, you leave your HDTV turned off. But it’s an awkward solution. Does Home Sharing from iTunes libraries still work? Apple didn’t go into this except in passing during its launch presentation, but: Yes. The Tech Specs page for the Apple TV lists Home Sharing as an option. Can I play MPEG4 and other audio and video formats not purchased via iTunes and not stored in an iTunes library on my network? iOS can play a number of video formats natively within apps, but the Apple TV experience is that you’ll need an app to access media. You can read a full list of supported media types at the Apple TV Tech Specs page. It seems likely that third-party apps will be able to play back video stored elsewhere on a local network (like with the eyeTV DVR playback app) or over the Internet. Can I customize the top row of icons? Yes! Apple distinguishes between the top row and the space above it, which it calls the top shelf. You can select up to five apps to put in the top row. When you select one of those icons, the top shelf will show content related to the app, like previews of available media, or different parts of a game.